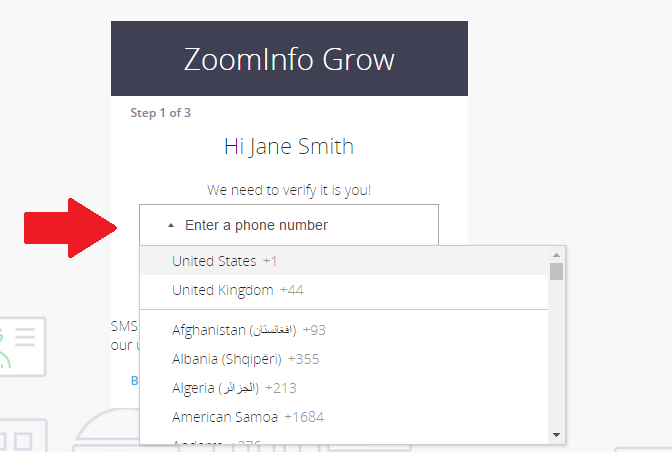 ZoomInfo requires a mobile phone number to be verified with every account. This is a safety measure designed to help us verify identity and protect the members of our community. 2. Then enter your mobile number without the country code or "+." 3. You will receive a text message containing a pin number. 4. Enter that pin in the space provided and click "Verify."